This cared-for home features a spacious eat-in kitchen that opens to the great room. The kitchen has plenty of honey oak cabinets with pull-out selves and ample counter space. The large master bedroom features his and her closets, master bath with dual sinks and an oversize shower. The guest bedroom can accommodate a king bed. The low maintenance yard has been meticulously maintained. The 2 car garage has full cabinets. 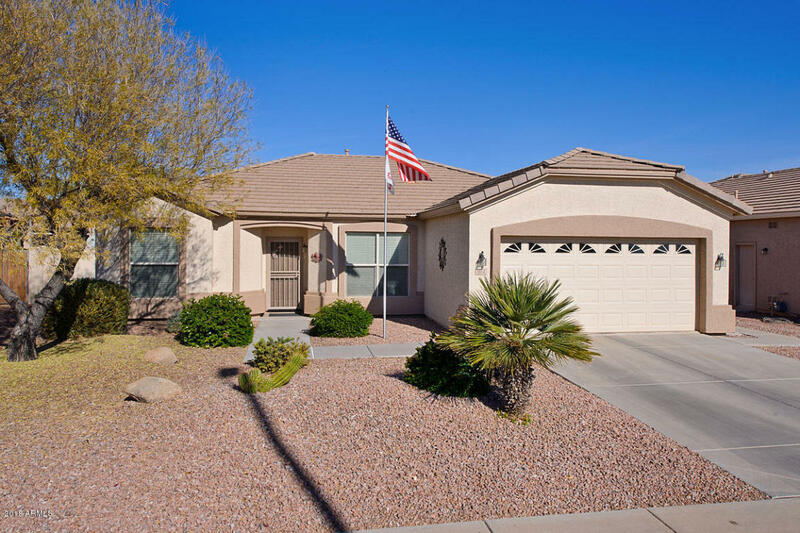 Situated on a quiet street in the gorgeous and friendly age-qualifying Solera community that features private clubhouse, fitness center, golf, tennis, pools, spa and restaurant. You won't want to pass this by.